Have you ever had a snow puffy? It was my first time. Cousin P picked up some for our dessert the other night. The pastry was so flaky! And the custard not too sweet. 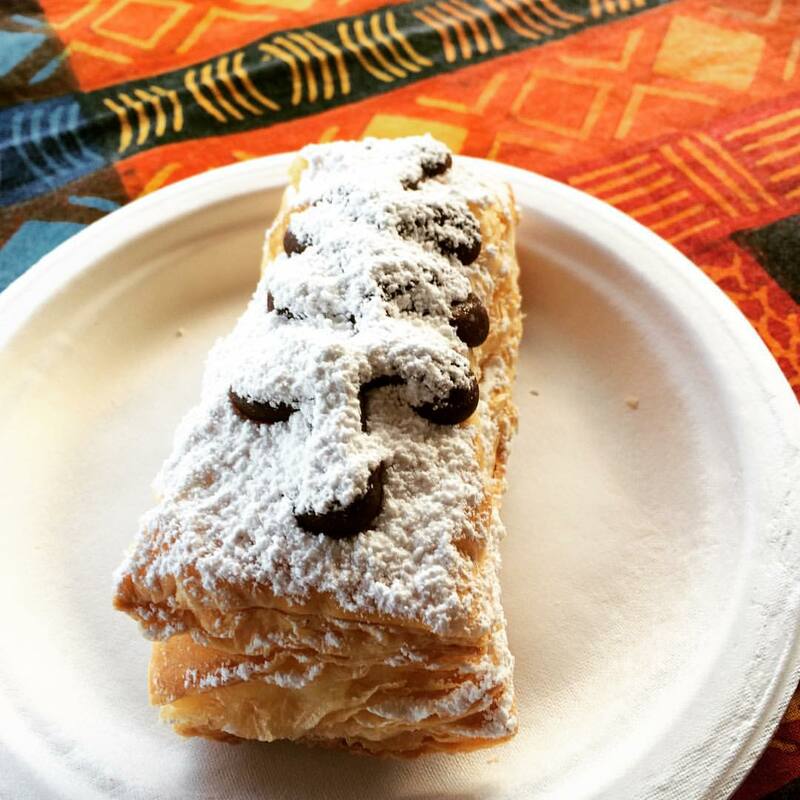 Under all that powdered sugar is a semi-sweet chocolate motif. Finally got a chance to try Regal Bakery's maple bacon doughnut. Their prices have gone up since the last time I was here. I went to service my brother's car yesterday. 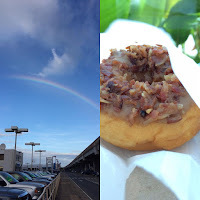 Since it was estimated to take about 2 hours, I walked to Regal Bakery, bought a maple bacon doughnut, then walked to Starbucks on Paiea Street. They had seats inside by one of their windows, and since it was so grossly humid outside, I ate my doughnut inside with an iced coffee. The doughnut was really soft, almost mushy, probably from the glaze and topping. The maple flavor seemed a bit fake to me and overall this was a bit too sweet. But I'm glad they didn't skimp on the amount of bacon on there. Don't think I would get this doughnut again but I'm glad I tried this. Even though her schedule was kinda tight, I was lucky that my friend, Mineko had a little time to meet up. Since we both had not been to MW Restaurant yet, we decided to have lunch there. We started out by sharing the unagi butterfish arancini...unagi (eel) and butterfish are mixed with a risotto, scooped out into tiny orbs then deep fried. When plated it sat on homemade tsukudani nori and a schmear of kabayaki mustard on the plate. 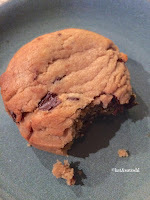 These were crisp on the outside and creamy on the inside...wow! 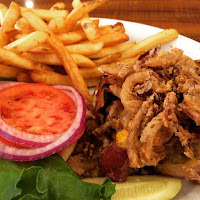 For my main, I ordered one of their specials...duck pastrami burger. Duck pastrami was ground up then formed into a "burger" patty, then it was grilled, topped with some bacon, cheese, a slather of sriracha mayo and served with lettuce, tomato, and pickled red onion all on toasted Japanese rye bread...this was a bit too salty for me. Alongside the sandwich were barbecue fries...think barbecue chips in "fry" form...lots of flavor (no need for that ketchup that was served on the side). 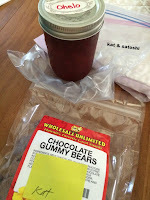 Of course we saved room for dessert...I had their MW Candy Bar...this stuff was lethal! 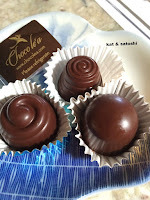 A black truffle caramel, salty and sweet. A scoop of their ice cream and the very rich candy bar topped with some edible gold leaf. Mineko had their tropical brûlée which was refreshing! 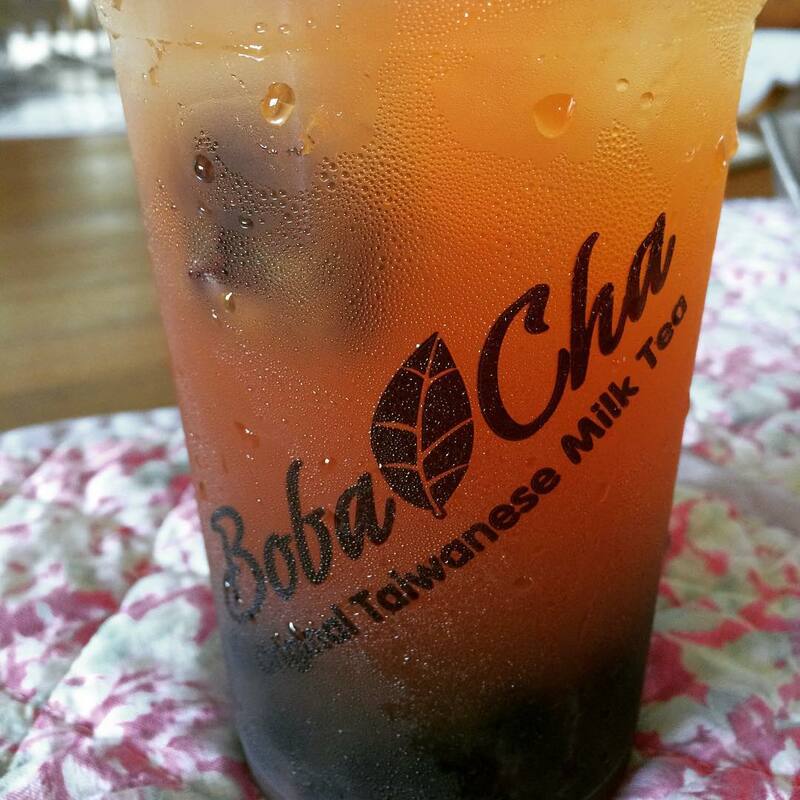 tapioca pearls, lilikoi (passion fruit) custard, tropical fruits...so good! I'm glad we got a chance to meet up, it was nice seeing her. Maybe next year, when Satoshi and I come back to Hawaii, I'll be able to bring him here. Thank you for lunch, Mineko! 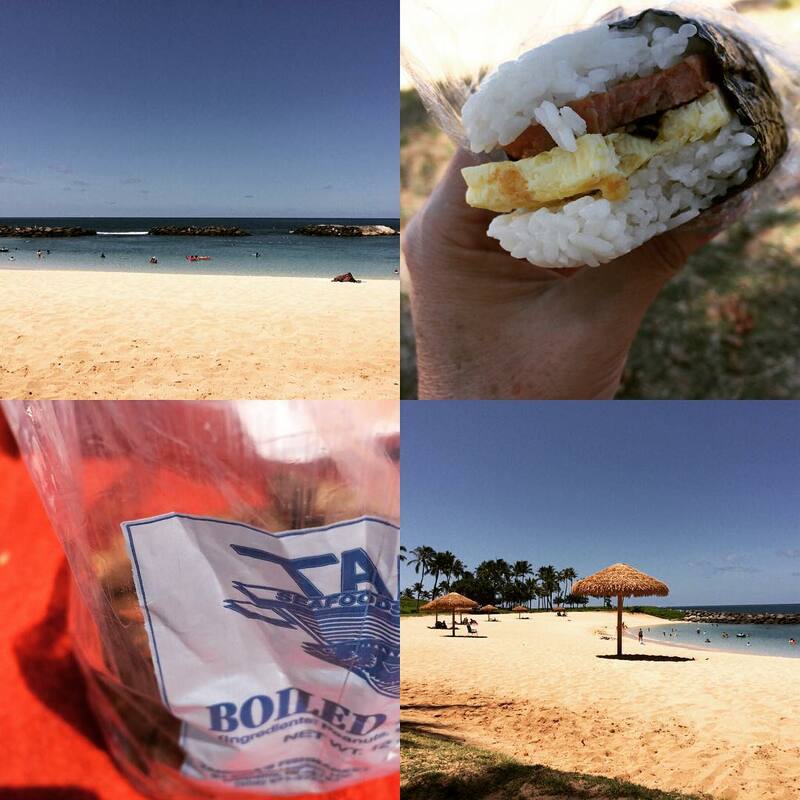 On Satoshi's last day in Hawaii, we went to The Alley for breakfast. In the past, we've gone for lunch, this was our first time trying their breakfast. Satoshi ordered the spam with eggs (over easy) and fried rice. I ordered their sweet bread french toast. The pieces of sweet bread were HUGE and coated with lots of cinnamon. This comes with a bowl of cinnamon apples in place of maple syrup and I also ordered a side of crispy bacon. Even Satoshi agreed that Japan just doesn't know about crispy bacon. It was a jam packed 5 days for Satoshi, but I hope he enjoyed himself despite the heat and humidity. p.s. he emailed to say that he arrived safely! 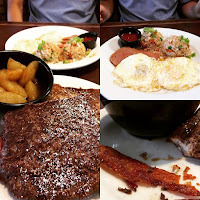 Since we've been hitting most of Satoshi's favorite spots, we went to Rocky's in Waipahu for breakfast one morning. The weather has been miserably humid and this particular morning it was raining (which actually made it a little cooler). But, the rain caused traffic to be hideous paired with some schools & UH (University of Hawaii) starting. It was nice sitting in Rocky's with pretty much the place to ourselves. Satoshi had a loco moco, it looked quite teeny, but there were 2 hamburger patties in there! Other than that, I'm glad we got to revisit this place. 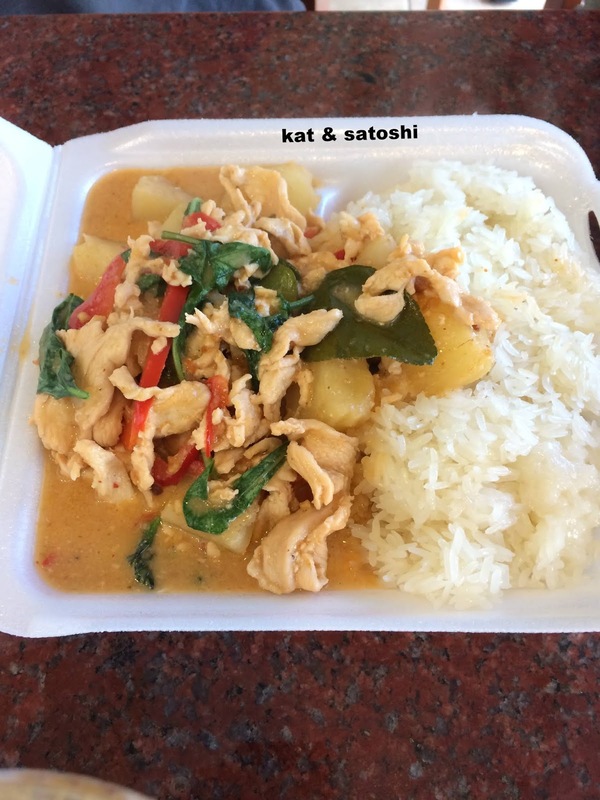 Lunch was with one of Satoshi's friends. We met near his workplace then walked to Golden Pork which is in the spot of Mediterraneo, which is a couple doors down from Tacos Zarate. 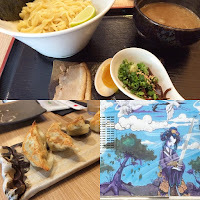 This restaurant is apparently from Japan and they do tonkotsu (pork bone broth) soup, which I am not really a fan of. The soup can be quite "heavy" in terms of oil and "porky smells". Because rain stopped, the weather went from cool to miserably humid, so I ordered their tsukemen. I didn't quite like that the noodles (which were too thick) were served still "wet" from being cooked then rinsed and that the soup seemed "gritty". Satoshi and his friend had their black garlic ramen (no photo), this had a thinner noodle. The gyoza was okay with the crispy outsides, though the filling seemed to be bland. I think having lived in Japan for so long, I have secretly and scarily turned into a "ramen snob"...gasp! It was nice to see Satoshi's friend and great to try a new place (this shop opened in March 2015), dunno that I would come all the way to Hawaii to have a bowl of ramen though. On the up side, how nice was this mural that I saw on the way to the restaurant?! 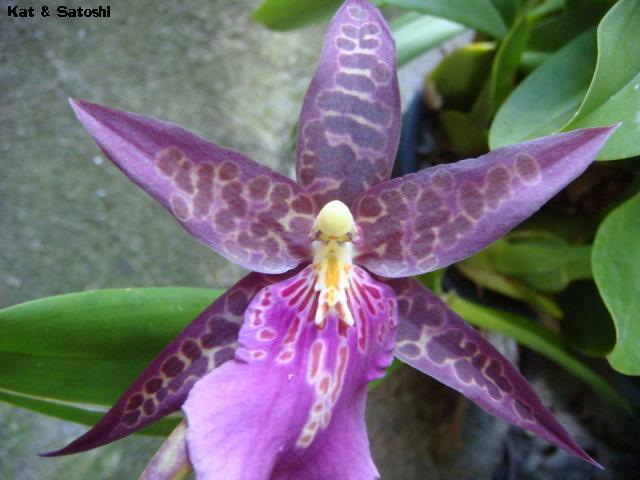 I've seen a similar one on Kapahulu, I hope to get a picture of it soon! The weather doesn't sound like it will be letting up, as there is another tropical depression on the radar. 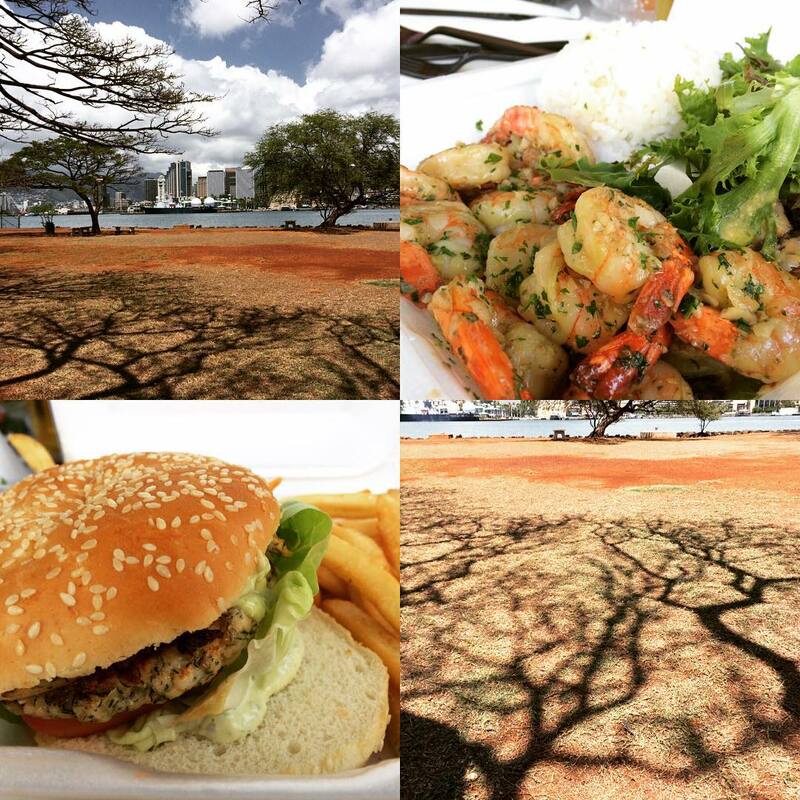 It seems like I ran away from Japan's miserable weather, only to be hit with Hawaii's miserable weather. 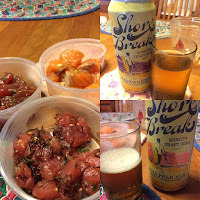 Dinner that night was an assortment of poke (po-kay) from Foodland and some craft beers made by Rheinlander called Shore Break. We tried their IPA and Hefeweizen. We couldn't believe Foodland was selling them $1.49 a can! Both seemed fruity with a little bitterness. 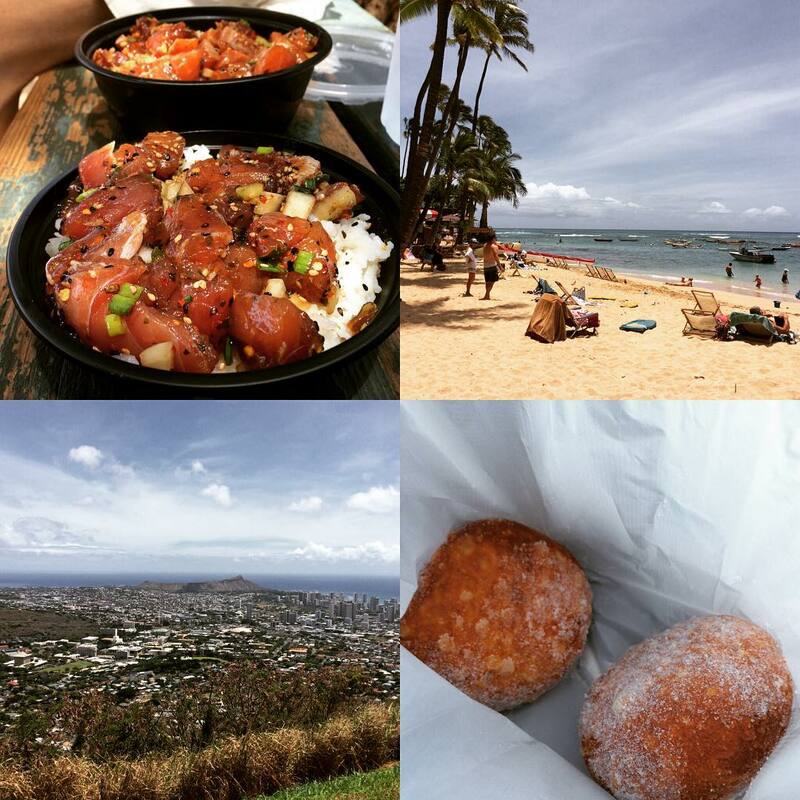 Poke in Hawaii is always fresh and delicious, and there are so many variations, I can't wait to re-create some of these at home! I've been to their Kalihi shop in the past. This was our first time trying the one that opened rather recently in Waimalu. Satoshi went with their waffle eggs benedict, instead of the english muffin, they put the eggs benedict on top of mini waffles. I ordered the bacon waffle. 4 pieces of bacon baked into the waffle...this was just as I remembered it. 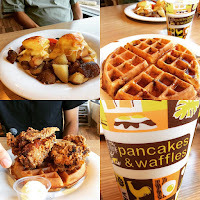 My brother tried their Honey Butter Chicken & Waffles. The coating on the chicken tasted like mochiko chicken...yum! He thought it was too salty though. I'm glad they opened this shop closer to where we are, I'll be back! It was a nice service and afterwards we all got together for lunch at the house. The humidity was really gross and made things pretty uncomfortable. Still, I'm glad we were all able to gather together and it was nice seeing everyone. There is still quite a big void without her around, perhaps that will never change. Friday started off with breakfast at Koa Pancake in Aiea. After breakfast, we did a few chores at home then visited with Dad and Grandma. Satoshi had their two choice with Garlic Edamame Ahi Poke and their Furikake Salmon Poke. I chose the mini with their Furikake Ahi Poke. We both chose sushi rice but learned our lesson (too sweet) and will order just white rice next time. 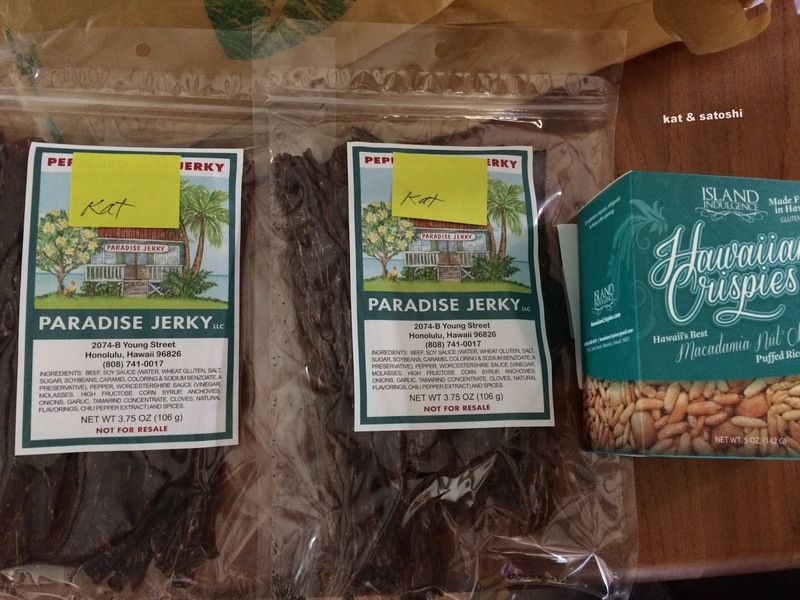 Then after lunch, we fought the gross back-up on Kapahulu due to road construction and picked up some items for dinner from Ono Seafoods. 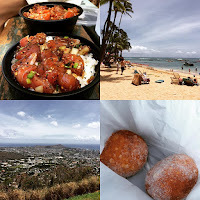 On the way home, we checked out Satoshi's favorite lookout, Puu Ualakaa and then hit Champion Malasadas for a little snack. Dinner was the lomi ahi and sashimi that we picked up from Ono Seafoods. It was our first time here but we liked their selection. 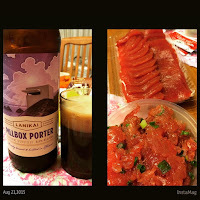 We also tried Lanikai Brewing's Pillbox Porter. I liked this one because there were nice notes of coffee and chocolate. Another day of lots of running around, lots of food and lots of sun. Soon after arriving we had lunch with my cousin P and her family and Aunty Marian at Nico's Pier 38. 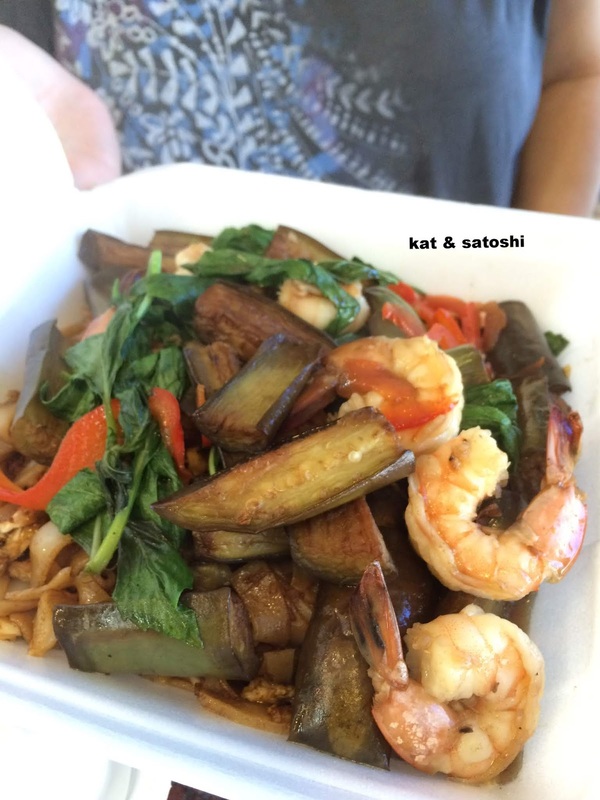 Satoshi threw everyone off by ordering the garlic pesto shrimp instead of the loco moco...he gave this a thumbs up! After lunch we headed to Sand Island Access Park for a little game of catch with K, F and Satoshi. Dinner was from Tamura's...an assortment of poke and Ommegang's Abbey Ale. 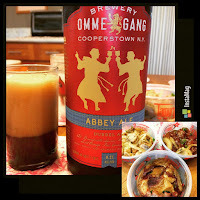 This beer was bit too bitter for my liking. It was our first time trying Tamura's pokes. I think they have quite a nice assortment and the pricing quite reasonable. All in all, a jam packed day, filled with lots of food, lots of talking, lots of laughter and lots of sun. Spent a good part of the day at Ko'olina Lagoons with my cousin, P and her family. They usually come to Hawaii about this time of year, so we try to coordinate our schedules so that we'll all be here at about the same time. Lunch was from Tanioka's...a "real" spam musubi, butter mochi and boiled peanuts. I still haven't learned that "I don't tan"...geez! Still, it was fun hanging out with them. Last year I raved about the transfer system on the bus here. So far on this trip home, I've ridden the bus twice. 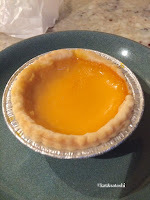 On one of my trips, I stopped off in Chinatown to pick up a custard tart from Lee's. 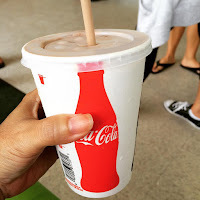 The price went up from $1 to $1.25, still relatively cheap and still delicious. At least they don't make you buy 3 now...loved the amount of peanut butter and chocolate in there, super rich! 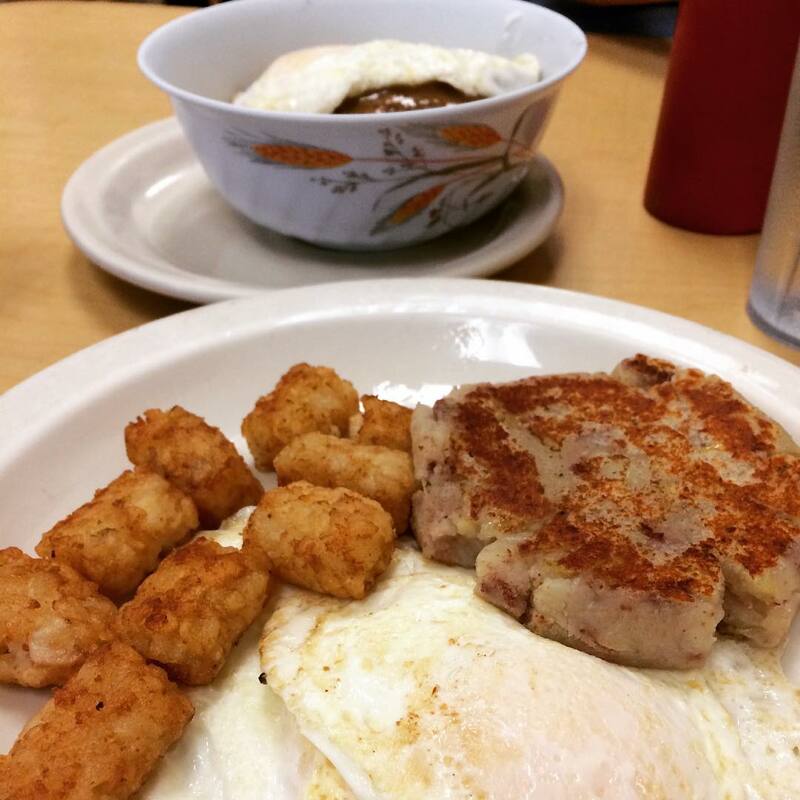 Both were great for breakfast. The weather is still hot and very humid in Hawaii with hurricanes/tropical depressions coming around almost every week...gah! It's been a couple of years since the last time Greg, Val and I went to Tonkatsu Ginza Bairin. Yesterday, we went there for lunch and the place was packed! 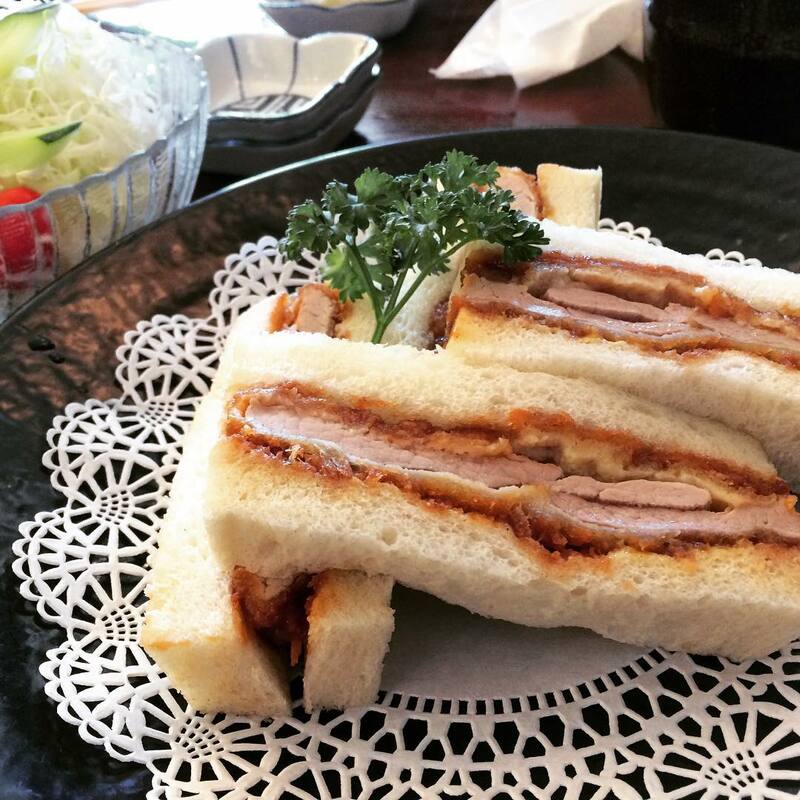 I had the katsu sandwich while Greg and Val had the lunch special. 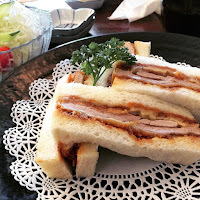 The katsu that was in the sandwich was super tender. I didn't care too much for the karashi (Japanese mustard) they had in there though. My lunch also came with a salad. Anyway, I'm glad I got to meet up with Greg and Val. It's always nice catching up with them. 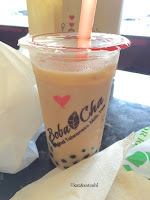 Saturday, I went out to lunch with BFF, Wen and another friend, Steph. 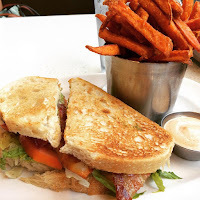 Wen treated us to lunch at The Counter. It had been almost 6 years since I'd been back. 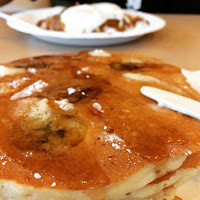 After walking around a bit, we went to Hawaii's Favorite Kitchens which is next door to Rainbow Drive-In. 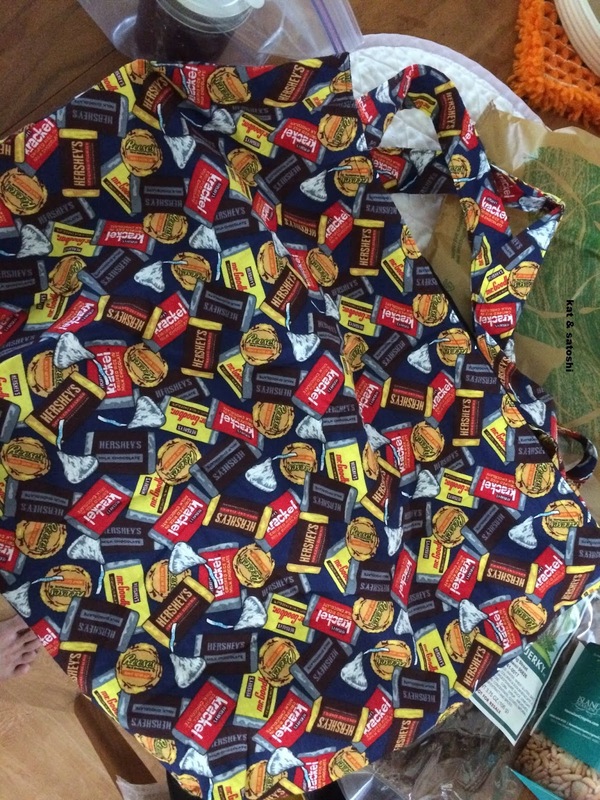 Can you imagine all sorts of island favorites in one shop? 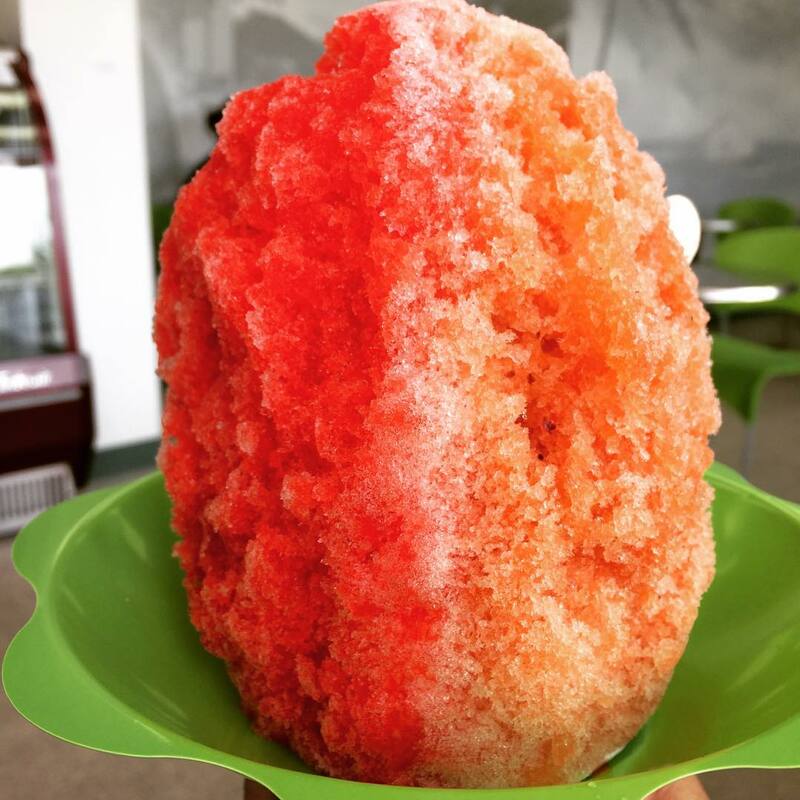 You can get KC Drive-inn, Poke Stop, Hoku's BBQ Chicken, Shimazu Shave Ice and some Rainbow Drive-In items. Wen and I were there for KC Drive-Inn's Ono Shake...Strawberry, Chocolate, Coffee or Vanilla shakes mixed with peanut butter. I chose Chocolate while Wen chose Vanilla...thick and rich. Steph chose Shimazu's Shave Ice. Can you believe this is a small?! They have a wide selection of syrups and you can choose up to three. 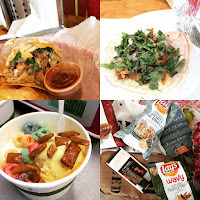 It's been quite hot and muggy lately, so these cold items hit the spot. 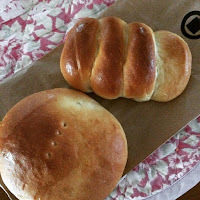 Tried some baked goods for breakfast the other day from Breadbox Hawaii. They are located in the Manoa Marketplace. The yuzu doughnut I tried was nice flavor wise, but texture, it was a bit "flat", not what I imagined a yeast doughnut to be like. The maple bacon biscuit had a nice bacon and maple flavor, maybe it's just me, but I think this could be smaller in size. I saw that they also have truffles, so if I'm in the area, I'll be back. 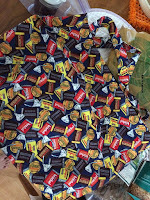 On Lowrey Avenue is Choco le'a, a tiny chocolate boutique. I picked up a couple of their truffles to try...fresh mochi, lilikoi sriracha and guinness. The fresh mochi reminded me of marshmallow just not as sweet. Lilikoi sriracha could've had more passion fruit flavor but the kick of sriracha was definitely there. Guinness was boozy but not overpowering. At $2.35 a truffle they are quite pricey, but I think as gifts these are perfect especially with their wide selection of unique flavors. Finally got to meet Jalna of Photos by Jalna and her friend, Mich.
Jalna's as crazy in person as on her blog...so funny! What was so cool was that it was so easy to talk with both of them. 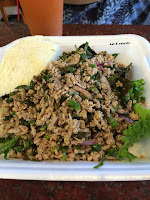 We had originally planned to eat at Morning Glass, but they didn't have any tables open, so we ate at Bangkok Chef (next door) instead. What was nice about this place is that they had lots of tables AND air-conditioning. 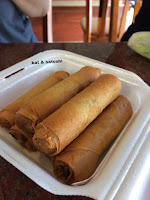 Jalna treated us to spring rolls, chicken larb, penang curry, rad nah, thai iced coffee and Mich treated us to a pannacotta mango thingy (no photo) (thank you!). 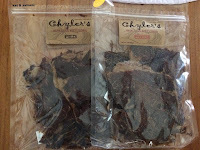 And everyone was way too generous...Mich gave me these beef jerky chips. 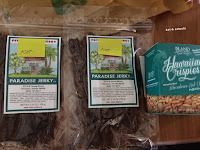 Jalna's cousin, V, gave me these other beef jerky chips, gummy bears and crispies. And reader Ryan gave me a homemade ohelo jam that his mom made! So nice. Brought back memories of when we were small and had to pick ohelo berries on the side of the road by the volcano on the Big Island. Jalna gave me two handsewn bags that she made too...so creative, yeah?! All in all, it was a great meet up, lots of talking and lots of eating. 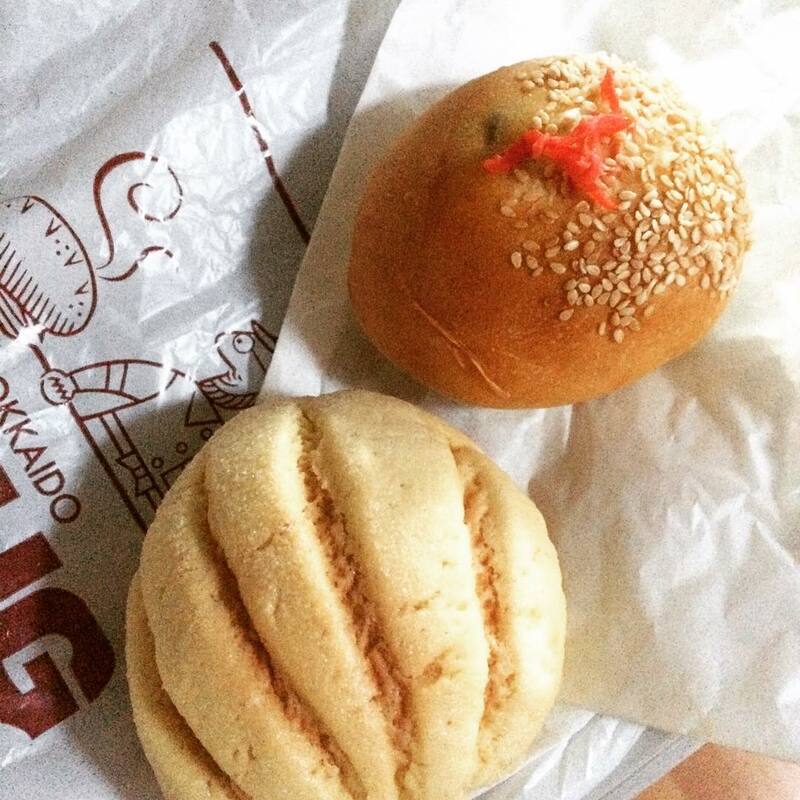 Yesterday started out with a lup cheong roll and pan de coco from Nanding's. 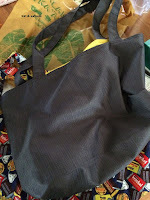 The quality is still good and prices relatively the same. Super reasonable. I then met my friend Davis for coffee. It had been at least 10 years since we'd last seen each other. Good seeing him. Lunch was with my friend, Len at Aloha Salads. I had the beet salad, sorry no photo. He's changed jobs since last year and it was also good seeing him too. The weather here has been super humid and hot, so after lunch, I bought a li hing jasmine boba from Boba Cha. 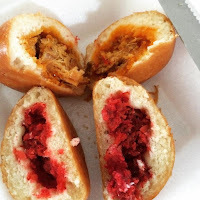 Although I liked this, I think I'll nix the li hing the next time, just too much! Another great day with lots of food and lots of catching up. 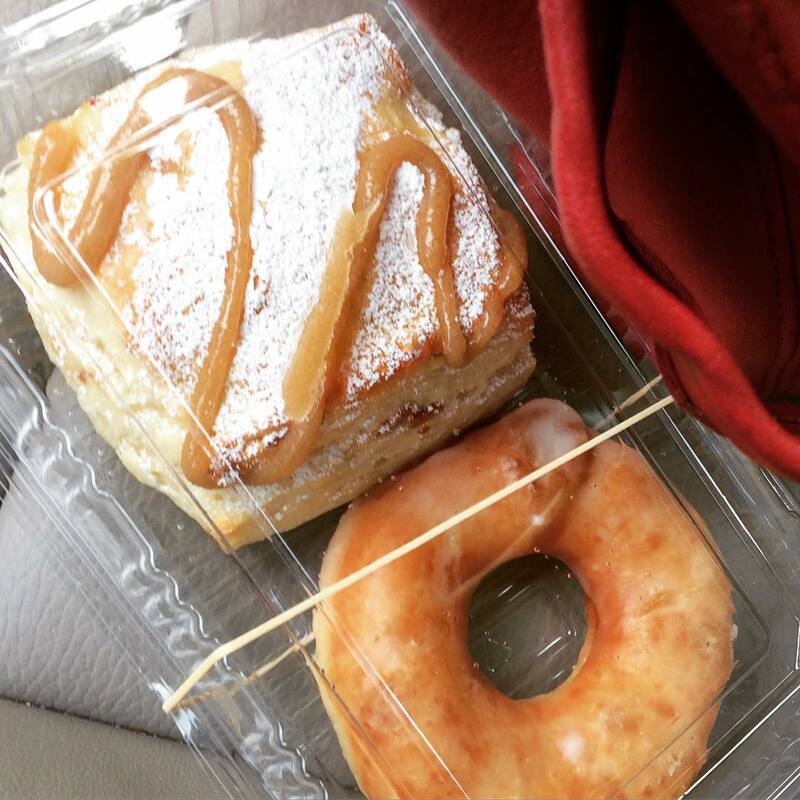 Since I was near Ala Moana Shopping Center the other day, I stopped in to pick up some of Brug Bakery's baked items. Apparently this bakery is popular in Sapporo, Hokkaido. I tried the sukiyaki pan, thinly sliced beef that is seasoned in shoyu, sugar and mirin. 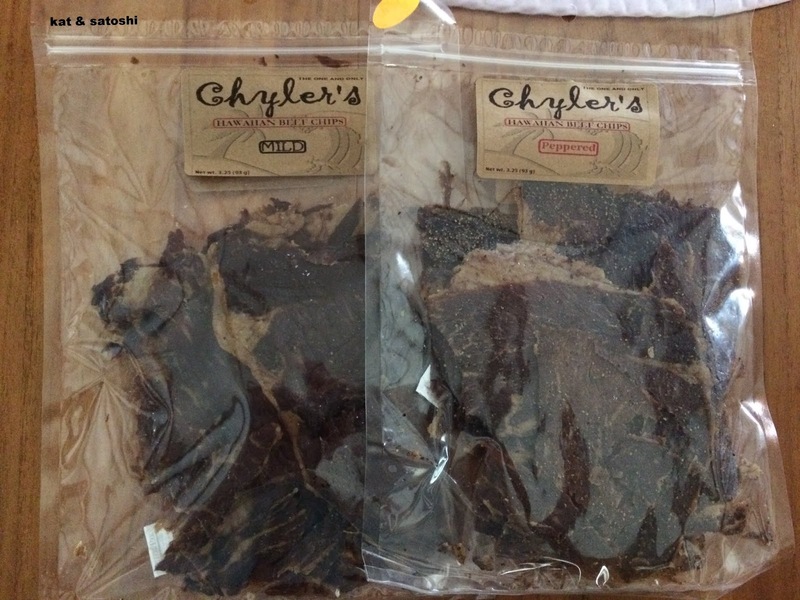 I was surprised that they didn't skimp on the amount of beef in there. Their melon pan was delicious too with the crisp cookie topping. They are a bit pricey but I think have good quality and very similar to the types that we see in Japan. 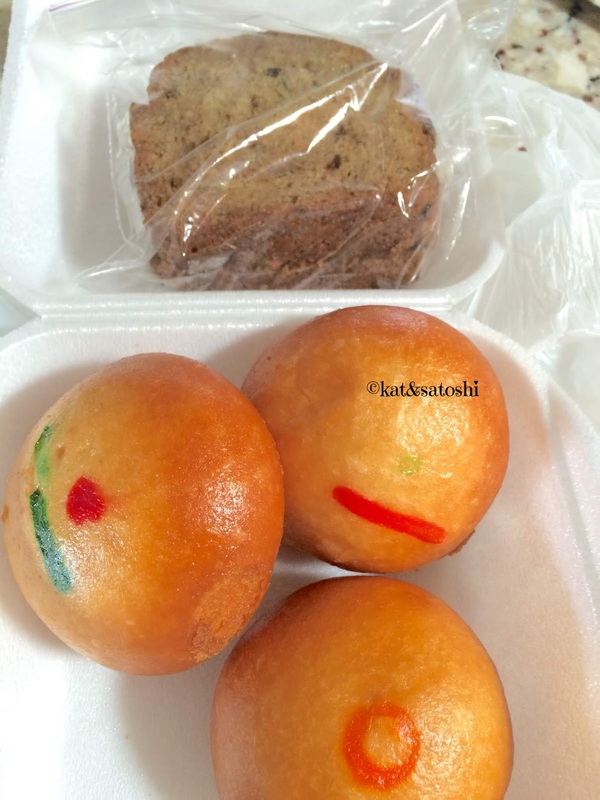 And when I was in Waipahu the yesterday, I picked up some savory mini manapua from Honolulu Kitchen. I think the people working behind the counter need to be a little more forgiving to first time customers, maybe taking out more time to explain the "drill". Other than that, their deep fried char siu and spicy pork mini manapua were delicious. Eaten soon after they were fried, the outside is lighter than when I tried them a day later. I'll be back to both. 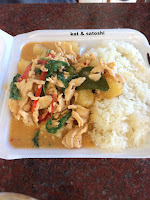 Yesterday for lunch, I met up with Deb of Kahakai Kitchen. Since I was craving Mexican food, I asked her to meet me at Zaratez (which is also called Tacos Zarate). When I was on Twitter, I used to follow the owner, when he had a food truck, but never got around to trying his food then. Fast forward, he opened a shop on King Street about a year or so ago. This shop has two counters to sit at and eat, but most customers buy "to-go". Deb and I shared the #8 Güero burrito (your choice of meat (I chose chicken), guacamole, onion, beans, rice, cilantro) and their two tacos (Deb chose pork) this comes with beans and rice. We also had Mexican sodas (I had lime while Deb had pineapple). I really liked the freshly fried chips too. The food was good, nicely seasoned. After lunch, since Deb has some time, she took me to Lucy's Lab Creamery. Their flavors are different from "the usual" ice cream shops...I tried Buttery Popcorn and Fruit Loop Vodka. The buttery popcorn was just like eating popcorn, as Deb said, "without getting kernels stuck in your teeth". 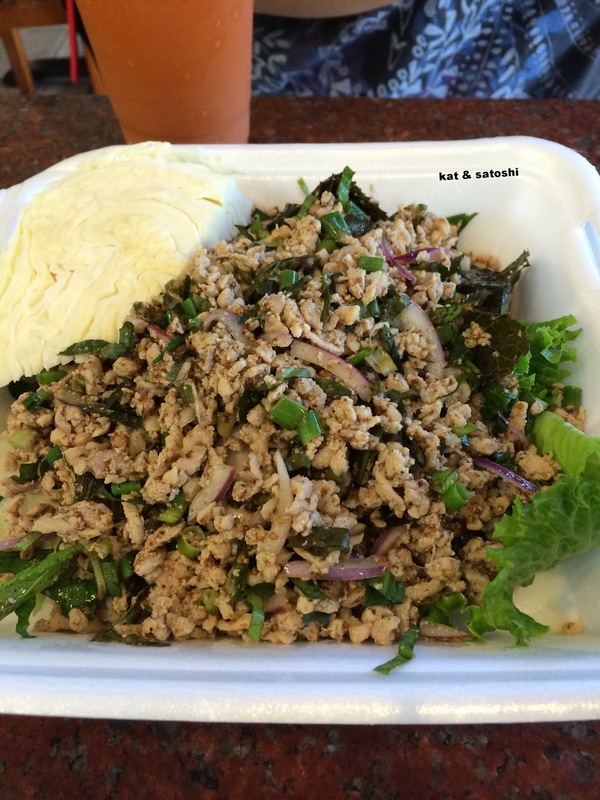 The addition of arare or kakimochi as we call it in Hawaii, made it more of a local favorite combo. The Fruit Loop Vodka, I'm glad wasn't boozy. I liked the fruit loop topping too. The Ward area has changed drastically over the past year or so. Many new high-rises as well as new shopping areas. I'm glad Deb showed me around and took the time out to meet up. It was fun catching up with her and she also gave me a ton of snacks (the new Lays flavors, Trader Joe's speculoos chocolate, Trader Joe's freeze-dried strawberries & Lindt bar) and some things to read (books and a magazine). Dinner was with friend, D.
We met at Big City Diner and both had sandwiches. I had their Paniolo Burger...a burger topped with cheese, bacon, their guava BBQ sauce and lots of fried onion rings...so good! D had their Patty Melt. 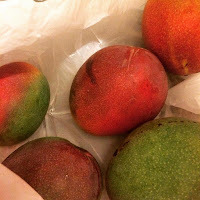 It was great catching up with D as well and he was nice to share some mangoes that he had. 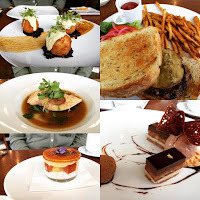 Major foodie day, but also lots of talking and lots of laughter...thanks Deb and D! A lot of businesses along the rail route have been changing their hours due to the construction, including Tanioka's. I don't remember what their hours were before but I think it may now be shorter during the weekdays. When I arrived, there was a line to purchase, but it went quite quickly. 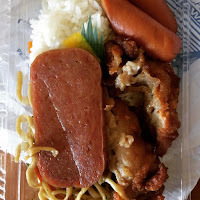 Mochiko chicken, shoyu weiner, a nicely seasoned spam (not like that other place ahem! ), fried noodles and some rice. With the traffic, I dunno how often I'll be able to come down to get my fix. Hopefully, I'll be able to come by at least a couple more times while I'm here. 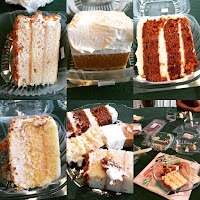 At last night's Sunday dinner, we had a taste test of the lemon crunch cake from Diamond Head Grill (DHG) versus the one from The Alley (TA..Aiea Bowl). We also threw in the carrot cake from DHG and the pumpkin crunch from TA, just for extra "tastings". 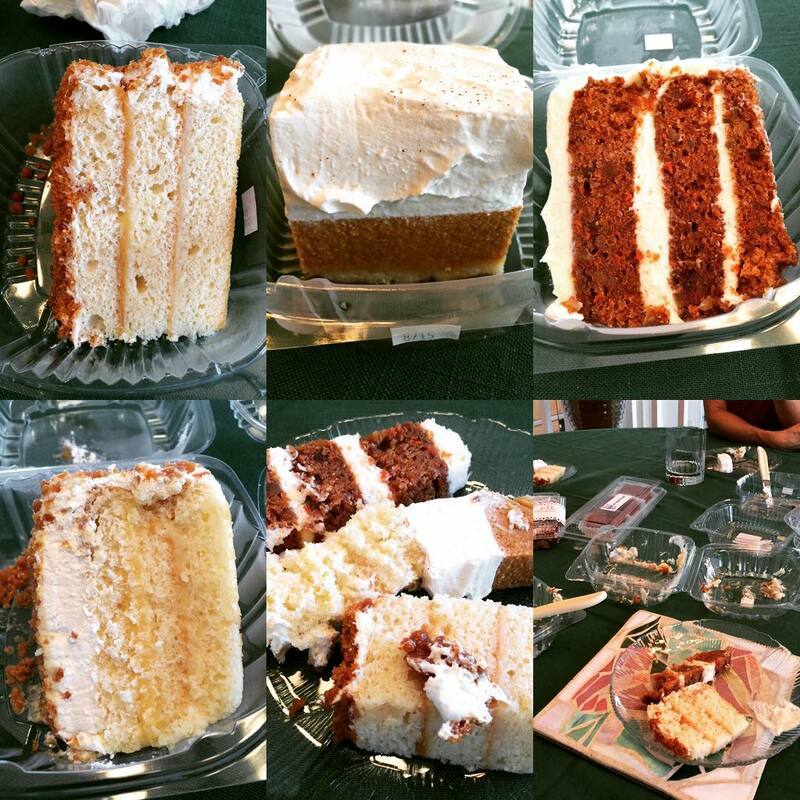 The cake from DHG was very moist and light (almost like a chiffon cake) with lots of lemon flavor (bottom left). The one from TA, dense and almost no lemon flavor (top left). It looks almost dry. We'll be getting the one from DHG for an event later on this month. Yesterday, I got together with BFF, Wen. 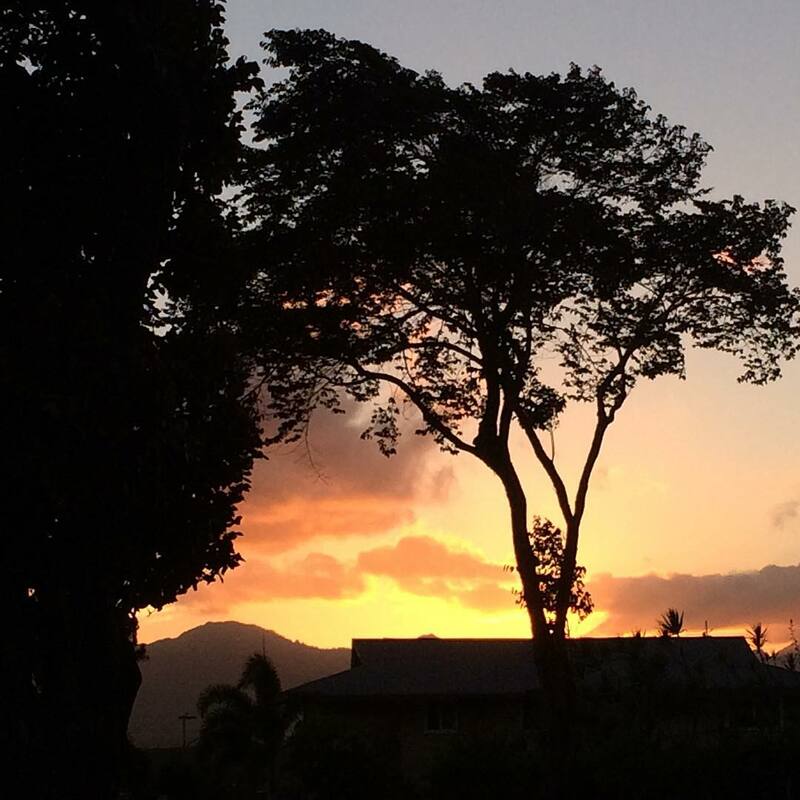 We headed out to Kapolei. 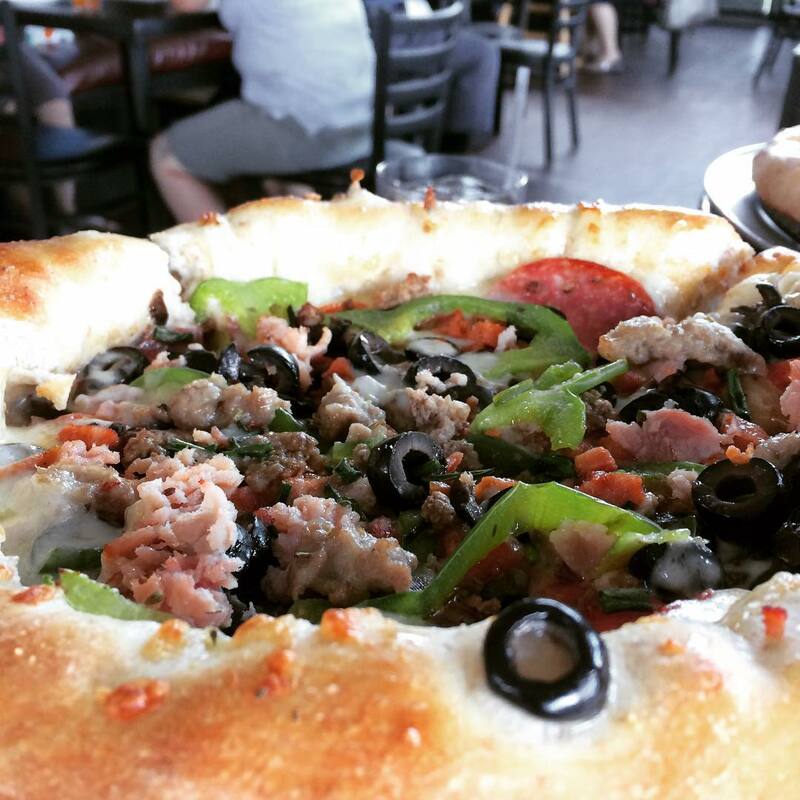 Lunch was at Brick Oven Pizza. Apparently this shop is originally from Kauai. Our peeve? where was the brick oven? the pizzas took about 10 to 15 minutes to come out. If there actually were a brick oven, the cooking time would've been way quicker. Not to mention most crusts that I've seen come out of brick ovens are thinner...not deep dish-y. After lunch we walked right across to Cupcakes & Things...all sorts of baked goods. 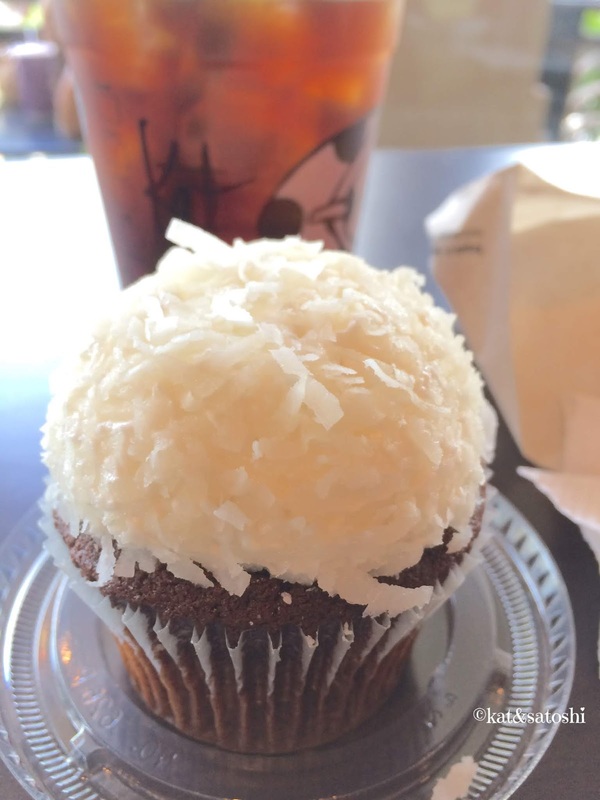 I tried their Coconut Cream Cupcake. The cake was moist but the coconut on the outside was hard.as.rock. I also tried Starbucks' cold brew coffee. Was a bit disappointed that they diluted it before serving. Overall, not the best foodie adventure, but at least I got to spend some time with my BFF. Yesterday, I got to meet up with my good friend, Gaye. She suggested we try Win-Spuntino. It was our first time here and we both didn't realize that there was an Italian restaurant in Market City. What I didn't realize, was that there was a two-story building on the Market City property...that's where this restaurant is located. I think they had enough seating for about 20 people. Gaye had their lasagna while I had their chicken saltimbocca. 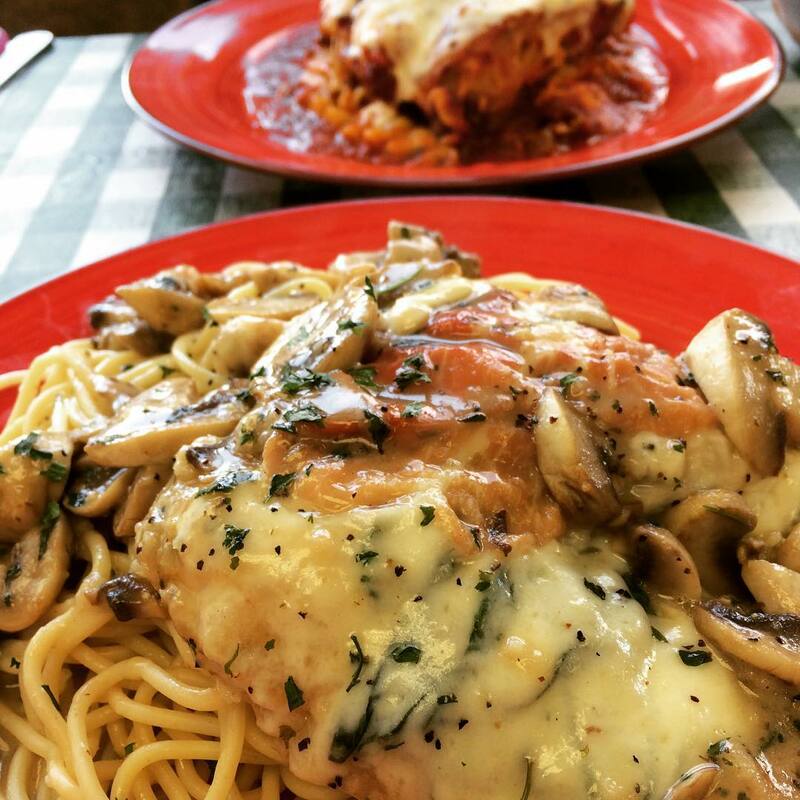 Two generous sized chicken breasts with proscuitto, spinach and cheese. Too bad the chicken was cooked until it was hard and dry. Flavor-wise this was good though. Lots of pepper on the pasta and mushrooms. I would come back to try the lasagna, it looked good! Yesterday, I got a chance to meet up with Sheri and her family, they are here on vacation. We met up at Pearlridge. It had been ages since I've eaten at Phase 2, which is now called "Downtown". Aloha Salads rather recently opened up a new location there. 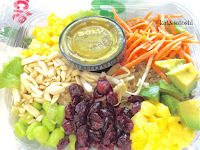 I tried their curried quinoa salad...mixed greens, quinoa, mango, carrots, edamame, bean sprouts, avocado, cranberries, almonds, curried pineapple vinaigrette. 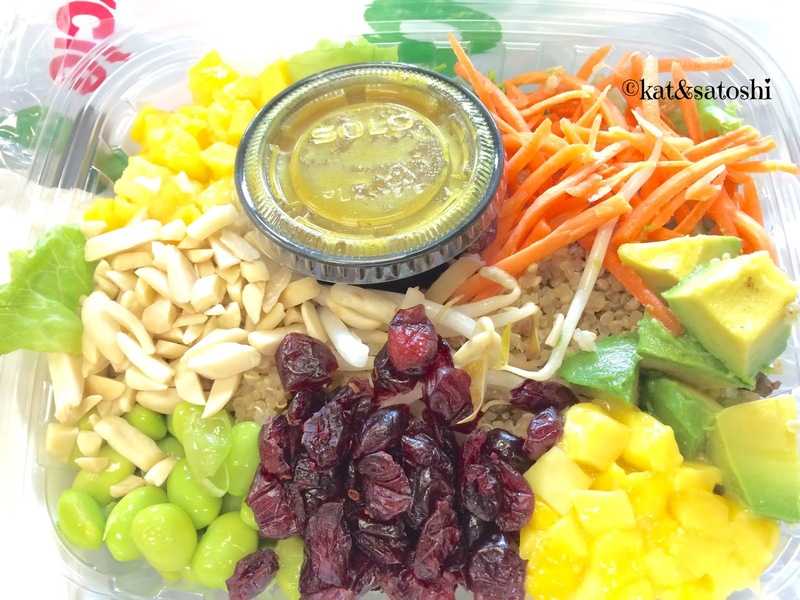 Minus the "frozen" mango, I loved this salad. We also had bubble tea from Boba Cha. After lunch we walked around and even rode the monorail. It is still running and now a $1 to ride one-way. 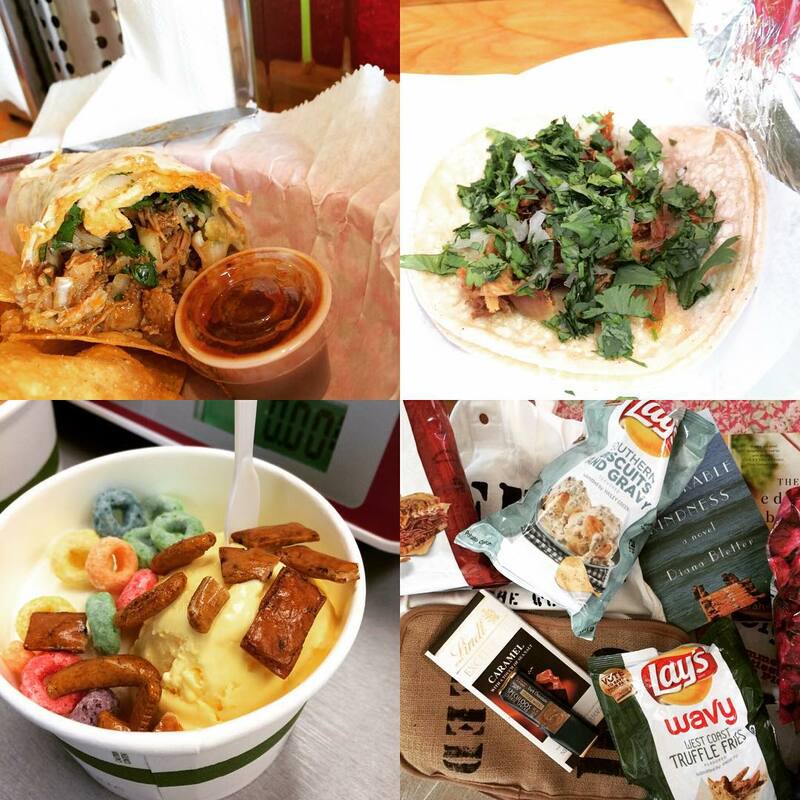 All the fillings were cream type. I had them this morning after toasting them. The outside has a nice crisp crust and the insides stay soft (kind of like a malasada but without the sugar on the outside and a little more dense). It was a great day filled with lots of talking, walking and eating. Thanks for a great day Sheri, it was nice to meet your mom and visit with you and your family! I hope we can hang out again soon. 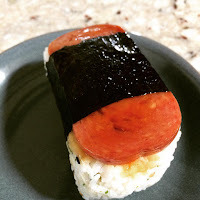 Really bad spam musubi from Foodland. There was way too much rice. The spam had some "glaze" but it was put on at the end. The rice had furikake but not enough to flavor the rice. All in all, a very sad spam musubi. 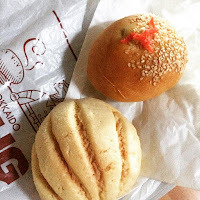 And what is even more sad than that is that after I uploaded it to Instagram, Foodland liked my pic....sigh. A year later, the traffic is a bit worse due to construction for the rail system...gads! 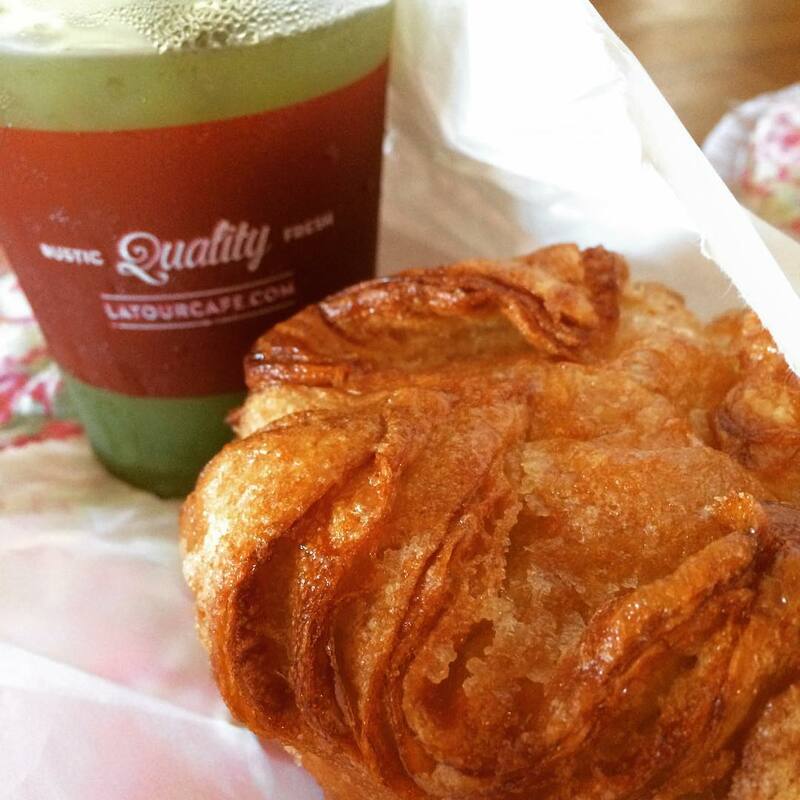 I went to check out La Tour Cafe for some mint water and to try their new Kouign Amann. I ate half yesterday and heated up the other half this morning. While the un-heated version was good, the heated up version was way better. Though the traffic is really bad getting to La Tour Cafe in Pearl City, I hope to get back here a couple more times while I'm here.